Authored by Ivan Delgado Egea, Head of Market Research at Global Prime Forex. You can follow me via twitter https://twitter.com/delgado_egea. Our market research is also available via Tradingview. Find out why Global Prime is the highest rated broker at Forex Peace Army. In a previous tutorial, I explained what constitutes the pillars one must fully imprint in their minds if the aim is to trade successfully. Understanding the statistical magic that lies behind a balanced win rate, risk reward and risk management allows you to develop the right approach to trading. However, without a trading plan, sooner or later, it all falls apart. Those that are serious enough about trading recognize the importance of working out all the fine details that will lay the foundation to get from where you are to where you want to be. You must see the creation of your very own trading plan as a blueprint that harmonizes in the most concise and descriptive manner all the rules that will govern your trading. A trading plan is like an outlined to-do list of all your trading activities. Before I continue though, allow me to make the important distinction between a trading plan and a trading system. The latter entails the set of conditions that will lead to an entry or an exit in the market, while the former is the umbrella under which all the components of your trading are included, from the system, risk management, etc and what this guide is about. 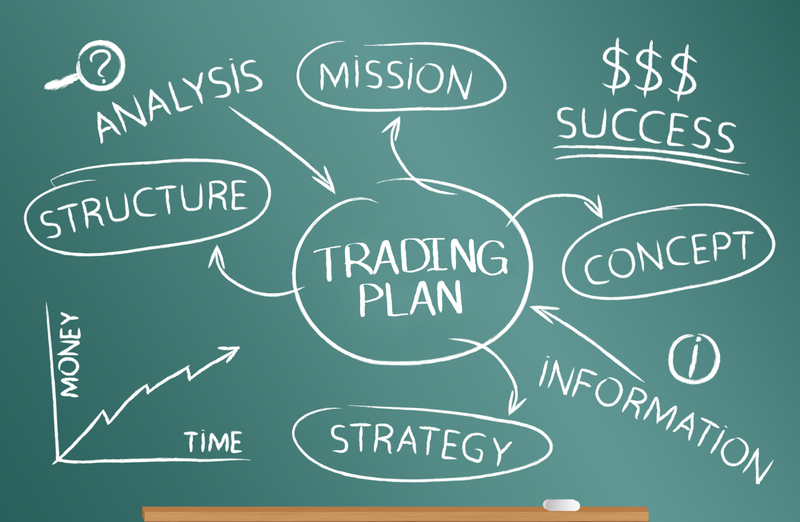 Why Do We Need A Trading Plan? As an analogy, when we drive a car on the road, we must constantly abide by traffic rules in order to harmonize certain behaviors for every situation we are faced with. From stopping at a red traffic light, slowing down when at a pedestrian crossing, use snow chains in certain weather conditions, etc. Fortunately for our own safety, this harmonization of directives is done in a seamless manner because there is a central entity that determines such rules. When trading, unlike driving, there are no rules other than the one we set for ourselves. What this means is that without a frame of reference that controls our actions, it can become very chaotic and our behavior largely inconsistent. On top of that, since trading is such a mind game that involves money on the line, it can be very draining for one’s brain and cause irrational decisions without a plan of action. This is yet another reason why you want to be absolutely 100% certain of how you will proceed in each and every one of the thousands and thousands of situations you will encounter as a trader. We must avoid by all means disorder from dominating our trading. After all, lack of discipline and inconsistency is the number one enemy of any trader. The saying “if you fail to plan, you’ve already planned to fail” couldn’t be truer. Trading is a business, so it must treat it as such. The mastery in becoming mechanical on your trading actions is directly linked to your chances of success. When we drive our car, our behavior cannot deviate from the very rigid traffic rules or we might get ourselves in trouble, right? You must think about trading in the exact same manner. But this time, the ball is on your courtyard, you have the absolute control. Here is the real challenge when creating a trading plan. It must be written with the greatest amount of detail yet keeping it as brief as possible, preferably to a single page. Perhaps not in the very beginning, but it should certainly be your aim as your skill sets improve and you gather more experience. Why is that? Quite simply, because a plan is meant to be re-visited every single day ahead of your trading. Imagine how daunting it can be if one has to go through 10 pages. The clear risk is that one will eventually refrain from referring to it and that’s an irresponsible way to run your business. Here is what you must remember. There is no right or wrong when it comes to designing your plan. Each of us trades behaves and perceives outcomes differently — that’s the beauty of trading the markets — therefore, writing down your rules comes down to an exercise of self-discovery through your own journey as a trader. It is the progressive manifestation of that journey reflected in rules. A plan is meant to be revised as our skills improve and new lessons learned. It’s never set in stone. It’s a healthy habit to adjust it in accordance with your developments and market conditions. Elite sportsmen are constantly making small insignificant tweaks to optimize their performance, which when compounded over time, makes all the difference to achieve their desired results. Trading is no different, as you gather experience, you must incorporate your own ‘experience-based’ rules in your plan as you see appropriate. It’s a fine balancing act between keeping the core plan intact while constantly polishing up the small details. Be aware, and I can attest this from personal experience, one of the most common traps comes when you start messing around with the entry or exit strategy. That’s why prior to building your plan, you must gain enough conviction that the strategy to deploy has an edge. For those serious enough, the best way to go about it is to actually put the hours to backtest a strategy. By conducting your own hypothesis and expected results via historical data, you gain an invaluable mental asset, that is, a blind conviction to stick over a set of rules to enter and exit the market. If you find yourself questioning the accuracy of your methodology to get in and out of the market, it clearly raises some red flags. Be always very ‘present’ when these thoughts come through your mind, as it implies drifting the focus and start trying ‘new’ things, which leads to the dreaded term ‘inconsistency.’ More often than not, that tends to occur to those that failed to put the hours needed to boost your confidence levels in your strategy to such an extent that no matter what, you will stick to it and let the odds play out. In your journey as a trader, it’s typical to jump from system to system. Only if you are convinced that such changes are necessary to optimize your results, go ahead. Just be aware that every time you recalibrate your entry strategy, a probing period must follow to verify your assumptions. In a nutshell, your plan must elaborate in detail the whats, whens, hows, whys, and it must include the best case, expected case, and worst case scenarios. Below, I will deconstruct what experience has taught me to consider the most critical elements a plan must include. 1. Why Do You Trade? There must be an underlying reason for your interest to trade the markets. Making money alone won’t cut it simply because it has to do more with the ‘how’ than the ‘why’. At the end of the day, the regular paycheck that trading forex can provide to the professional traders is just a by-product and means to your goal. The actual ‘why’ must be one or a series of reasons that drive you. It could be the achievement of financial independence so that you can live life on your own terms and stop working for someone else in a job you don’t like. It could be providing your family with the best possible life. It could be the independence to live anywhere in the world through the income that trading generates. It could be the desire to continuously grow as a human being or buying a dreamed car, etc. It will be this ‘why’ that will hold you accountable and keep you ‘on track’ with your long-term goals when the going gets tough. I’ll go even further. You really want to find some pictures related to these true goals and paste them in your trading plan an even in the wall of your trading office right in front of you. They must be staring at you! The more mechanical and consistent your trading habits become, the greater the odds to be part of an elite group that makes money on a regular basis. Your trading plan should describe what your daily rituals are from the moment you come to your trading desk until you call it a day. This will set you apart from the amateur-type trader that simply tends to show up at their desk, stumble from one trade to another without any previous preparation, and expect to be at an optimal level to perform and extract profits. Your routine may include at what time do you come to your office to start the preparation for your trading day ahead? how do you prepare mentally? do you run daily exercises to stay emotionally and psychologically detach from the monetary value of your account? Do you work out to stay fit and your brain ready for peak performance? How long will you dedicate to scan the markets? How will you decide what instruments are most suited to trade your strategy? Are you aware of the risk events for the day? and much more. Make sure that as part of your routine, you are as efficient as possible. What this means is to automate the maximum number of tasks in order to eliminate redundant processes, hence you are more efficient with your time. We’ve come to the section of your plan that determines the set of conditions you must identify in the markets that will validate an entry and confirm an exit. You must be very precise and consistent in applying these rules. I’d like to outline what constitutes a quality trade from an average one. Further, don’t overlook how critical it is to come up with the conditions that will get you out of the trade, either by hitting your stop loss or take profit. Traders tend to get too caught up with the entry, but it’s the actual exit that sets the standards for the amount of reward you get out of each entry. You also must define the forex pairs you want to monitor for potential trading opportunities. The natural evolution will be for you to gradually shrink the length of the text/description of your strategy to the most critical aspects as you ingrain the overall process in your mind. That’s what I personally do. In terms of the conditions to look for, these can include: Does the market need to be trending or not necessarily? Will you only trade at specific price levels based on lines of support and resistance previously drawn, will you be more momentum based? Here the approaches are almost unlimited. What timeframe will you trade? Cross-checking higher time frames from the one you trade from to find a congruence of factors is a wise move that I personally apply. However, when it comes to pulling the trigger, if you are randomly jumping time frames, that’s a recipe for disaster. It’s here that you must decide the type of risk you will put on a particular trade. Don’t ever fall into the trap of defining the success of a trade in the number of pips you made. What really matters here is the correct position sizing, which will be determined by the size of your stop loss vs the total amount you are willing to lose. If your account is worth $10k, you then must decide what monetary value you are fully accepting to find out whether or not the analysis you’ve conducted will result in the price going in your desired direction. You must be completely detached from the monetary value of your trade, which starts with accepting the money at risk. If there is any type of emotional attachment to your position, sooner or later you’ll start messing around. As part of managing trades, never forget the key pillars to keep in mind (win rate, risk-reward, risk percentage). You will also need to set the maximum risk you are willing to accept per day, per week and per month. Also, you must work out your total risk exposure at any stage, the maximum correlated risk in case you are trading the same currencies or how many trades will you have open at one time as to not keep you off track unable to focus on all your open positions. You also want to potentially figure out some rules to take some time off the screen or even a whole day off to clear your head or as a form of re-assessment if the proverbial hits the fan and you experience a severe drawdown. This exercise will be priceless to avoid certain pitfalls traders fall into such as revenge trading. As part of your trade management, assuming you’ve achieved a state from which you are able to detach from the emotions and the monetary value of the trade, these are the right questions you must constantly ask yourself when putting on a new trade. Remember, it’s all about the process! Questions: Was the action I’ve taken prescribed in my trading plan? Was the risk level appropriate, neither too large or too small? Did I account for factors such as market conditions and correlated risk? Did I make any emotionally-driven errors in my entry, exit or risk management? Do you find yourself committing recurrent trading mistakes? Have you identified some common patterns that you either want to reinforce or avoid altogether? Do you fall victim to your own shortcomings when it comes to disciplinary routines that you know deep inside must be addressed? Trust me, this list can stretch almost infinitely unless you take action. You must be a good record keeper. The reason why keeping track of your trades is such a valuable exercise is because here is where you gain the constant feedback loop on why and how you won or lost a trade. Especially when you lose, finding out if the trade was due to a mistake, so that you can minimize them and ultimately eliminate them is extremely important. At the end of the day, the reason you are aware of bad habits is through a review as it allows to unveil what your patterns and behaviors throughout the days are. By monitoring them, you make sure they are less frequent. Since trading is a business, you must be the accountant that keeps track of all the details. As a trader, you must discover through your own journey both the most recurrent negative and positive actions and take note. If we are unable to spot, find a solution and take action to change certain behaviors affecting our performance, the risk is that we’ll be constantly trapped in a vicious cycle. The more we are reminded of the area we must correct, the more aware we are not to make the same mistakes in the future. Minimizing the number of mistakes we’ll commit as traders is absolutely essential. In fact, successful traders can attest that a large share of one’s merits to be a consistently profitable trader is to have eliminated their trading mistakes to the bare minimum. Similarly, we must remind ourselves of the positive actions we are performing that will reinforce these habits. The recognition that we are nailing certain processes also has a huge impact to firm up one’s self-image in the quest to develop a successful trader mindset profile. It’s your turn to build a plan that you respect. In this tutorial, my aim was to give you a frame of reference to come up with your own ideas about what’s most important to you. Disregard having fixed rules and instead be constantly adaptive to the new insights you gain. Never start trading unless the strategy you apply proves to have an edge, which you will only find out by putting in the hours that it takes to validate your hypothesis. This will lead to an unshakable trust in your system which is vitally important not to go off course. Professional traders have the rock-solid conviction that the odds are in their favor or they wouldn’t participate. You must join them in such belief. 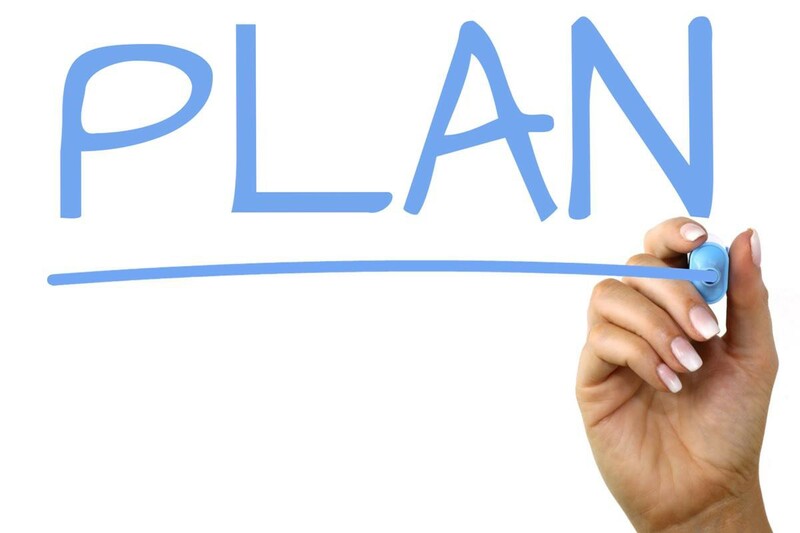 Don’t forget, cover all the ground possible as part of your plan, yet be concise enough so that you guarantee the reading of your plan every day. Don’t ever overlook the importance of keeping a journal and reviewing your trades, as that’s the only way to identify the patterns you must correct to eliminate recurring mistakes. Even with all the instructions provided, you will not guarantee to conquer the markets by extracting regular money out of it. However, you will give yourself the greatest chance by treating trading as a business, and that my trade-warrior friend, is what a trading plan is about.